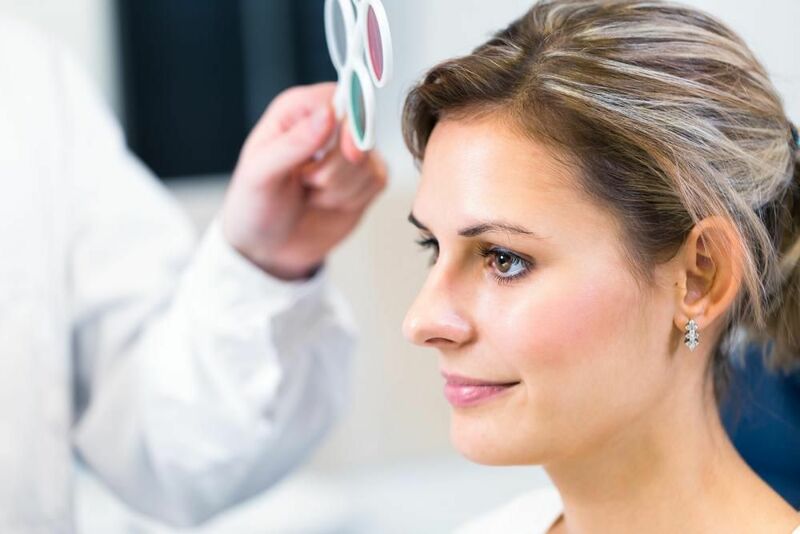 At Lakeside Eye Associates, we're not just the premier place in Huntersville for designer eyeglasses and contact lenses, our optometrists are experienced in diagnosing and treating serious eye diseases. While some serious eye conditions can be related to your lifestyle or heredity, many of them can appear at any age and for no apparent reason. Our eye doctors rely on early diagnoses for successfully treating many eye diseases, which is why it's so important for patients to schedule annual eye exams. When fluid builds up inside the eyeball pressure increases, it can cause damage to the small blood vessels in the back of the eye. This increase in pressure is called glaucoma, and if left untreated it can severely damage eyesight as well as cause blindness. Like all eye diseases, it's easier to treat glaucoma if it's caught early. Our doctors can prescribe medication to reduce the pressure inside the eye, and there are surgical methods to decrease the problem if medication doesn't solve the problem. On the front of the eye is a crystalline lens, which is made up of protein and water. Sometimes the protein liquefies and clumps together, sticking to the inside of the lens. When this coating begins to build up, it creates a cataract, a filmy covering that affects your eyesight. Cataract patients have vision that looks cloudy, foggy, or yellowed. Lifestyle changes can slow the progression of cataracts, but once they've progressed to the point where they affect your daily life, a surgical solution is the best answer. We can arrange a surgical procedure for your cataracts and give you professional follow-up care once your new lenses are in place. With age related macular degeneration, or AMD, the central vision in the eyes is destroyed. You may begin to see wavy lines or have a weakness in seeing the center of your viewing picture. Early detection and treatment are key to slowing vision loss. In most cases, medication and lifestyle changes give the best results in keeping vision in place. For patients diagnosed with diabetes, it's doubly important to schedule an annual eye examination. They're in danger of developing a disease known as diabetic retinopathy, in which small blood vessels break and leak blood onto the retina. If left untreated, diabetic retinopathy can cause blindness. Your best defense against DR is to control your blood sugar. There is no cure, but laser treatments can prevent further damage and reduce the risk of serious vision loss. Keeping your blood sugar and A1C levels at a normal rate is the best way to control the progress of this condition. Your yearly eye examination is clearly important for more than just checking your vision correction prescription. It's crucial for your eye health, and can be used to diagnose eye diseases at any age. If you have any questions about eye disease, or if you're looking for a Huntersville optometry office, call us at (704) 457-7300 today.